OLX was established since 2006 and the company provides great services across 96 countries in over 40 languages. OLX currently have many offices located in Sao Paulo, New York, Buenos Aires, Beijing, Mumbai and Moscow. To Buy and sell online in Nigeria is now very easy. Thanks to services like OXL. With OLX, you can buy and sell any kind of stuff online with ease. So, if you are thinking of a way to sell your properties online or how to buy valuable items online, OLX Nigeria is a good online marketplace to start from. 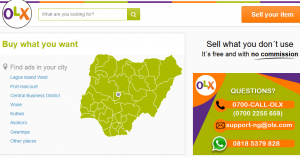 OLX Nigeria is a popular free classified Ads website where you can buy and sell product. You can post Advert free on OXL. The OXL Nigeria has acquired www.tradeStable.com.ng, its competitor to expand their service in Nigeria. The acronym OXL is almost a household name for every Nigerian. To start selling on OXL Nigeria, all you have to do is to register on OXL, post Advert and start selling your product; of course you should know that registration is free. What can I sell on OLX Nigeria? What can I buy on OLX Nigeria? Because OXL is an online marketplace, the same products that are sold on OXL can also be bought from OXL.OXL offer local classified ads. • The site layout is simple and well designed. • The website is easy to navigate. • Your OXL dashboard enables you to control your selling activities, purchasing and your community. • You can upload custom image and video ads. 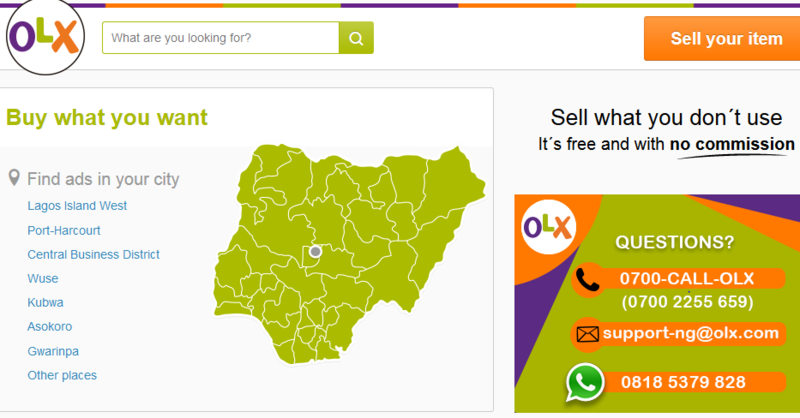 • You can as well get access to OLX in your local language. 1. Though the OXL site is safe and secured but do not give out your bank account details to anybody. 2. Do NOT pay for any product you have not seen physically and touch to be sure it worth paying for. 3. Always offer strong negotiating force when bargaining for a price of product. 5. To complete a deal, go with someone who have knowledge of the product you want purchase to help you assess the product. For further information on how to buy and sell on OXL Nigeria, visit official OXL Nigeria website; www.oxl.com.ng or you can use the comment box below to ask your question. Have you sell or buy any product from OXL before? You can share your experience with us. Landed properties for sale at Onitsha and Asaba and at affordable prices. The title documents are all good. Contact: 08036581778, 08075119459. Many landed properties (developed and undeveloped) for sale at Onitsha, Asaba, and Awka Price ranges from 500KNaira-100Million Naira. Title are Good.